Hey there you, welcome to this Ucraft vs Squarespace showdown. Today, I’m hoping that you’ll agree to be my test subject. Don’t worry, I won’t be asking you to trial any unidentified pills or anything like that! Instead, I want to shake up the format of these comparisons with the aim of making it easier for you to decide with website builder is right for you. Previously, I’ve gone through each section one-by-one (ease of use etc) and shared my thoughts but to be honest, even I struggle to keep track sometimes of which platform is performing better along the way, let alone you guys. With that in mind, I’ve decided to first walk you through the similarities between the two and then so you’ll know the things that you won’t have to sacrifice regardless of which you choose. Then, I’ll walk you through what I believe to be the main differences between them and it’s those differences that will ultimately help you make a decision. Sound good? Okay, let’s get started. 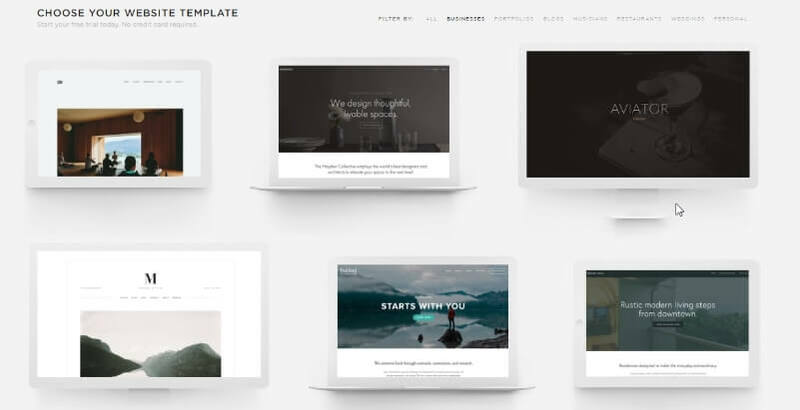 The first similarity to strike me about Ucraft and Squarespace is their templates and how well designed they are. 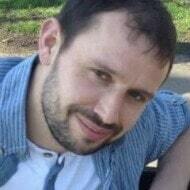 Having said that, you’ll need some good quality images to make the most of them. Ucraft has around 50 themes to choose from and they’re divided into categories such as business, eCommerce, and restaurants. Your website’s layout and sample content will vary depending on which category you choose. I’ll be the first to admit that at first, they look rather generic and so it’s up to you to add your own images to really and really bring them to life. Failing that, you’ll have access to Ucrafts library of royalty-free stock images which you can use instead. Squarespace, on the other hand, has some of the highest quality templates in the industry and I say that with complete confidence. Again, they’re divided into similar categories as Ucrafts. I should point out that you’re not allowed to use the demo images and if you don’t have your own, Squarespace has partnered with Getty where you’ll you’ll be able to purchase them. Note: If I had to choose, Squarespace has the better designs. The good news is, whichever template you choose, you’ll have a fair amount of control when it comes to fine-tuning the look of your website. Although they do work in slightly different ways. Ucraft allows you to start editing the sample text and images right away (as most website builders do) but when it comes to making changes such as moving the location of elements and changing fonts, you simply need to activate their “Designer Tools” which can be found in the main menu. These tools give you much more flexibility and allow you to put your own stamp on your site. 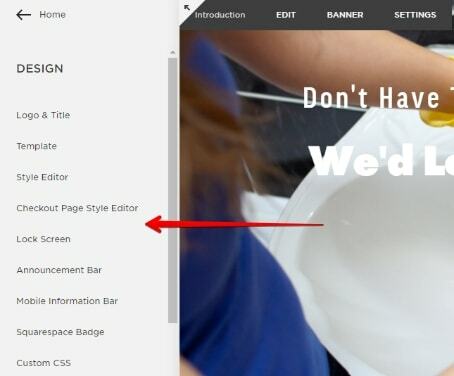 Squarespace have their website building tools already built into the main menu’s which you can access as part of any plan in the style editor. Here, you have detailed control over your colors, typography, and the layout of your site. You won’t have to worry about a load of extra work creating a separate version of your website with either Ucraft or Squarespace. Both platforms give you a “responsive” website meaning it’ll automatically shrink down to fit mobile devices with no additional work on your part! Note: Squarespace does have an advantage here as they allow you to display your phone number and business hours at the bottom mobile phone screens making it easier for your potential customers to get in touch. I always say, if you’re an established business or have big ambitions, a dedicated eCommerce platform will probably suit you better as they allow for growth. For smaller stores, Ucraft and Squarespace have fantastic eCommerce tools to help you quickly get set-up and start selling your products online. Some of the features offered by both providers include real-time tracking, inventory management, product variations, multiple payment options and abandoned cart recovery. Notes: Squarespace allows you to import/export products from places like Shopify or a .csv file which makes life a lot easier if you’re dealing with hundreds of products. I couldn’t find this option with Ucraft. I was pleased to see both have comprehensive tutorials which I advise diving into before creating your site as it’ll probably save in time in the long run rather than trying to figure everything out on your own. When it comes to contacting the support team, it just so happens that I’ve received two of my quickest replies from these guys via email. Squarespace in under an hour and Uncraft in 15 minutes which has to be some kind of industry record! They also have live chat depending on your timezone. If ease of use is one of your top priorities, I believe Ucraft allows you to jump in and create your website quicker than with Squarespace. Thanks in part to the user-friendly website editor that made me feel instantly at home. All of the website building tools are neatly organized on the left-hand side of the page and they have “Blocks” of pre-made content which can be edited to help you quickly build your pages. Once you’ve got the basics in place, you can always add the Designer Tools that I mentioned earlier to further customize your site. Squarespace is a bit like most things in life, it’s easy when you know how. Don’t get me wrong, it’s by no means difficult, but from my own experience, it just takes longer to find your way around and figure out how everything works. Having said that, once you’ve mastered the tools on offer, you’ll have more control over the look and feel of your website. On the surface, Ucraft has a fantastic blogging platform. It’s easy to use and packed full of features. However, after creating a sample blog for my test site, I realized I couldn’t add images within the body of my posts. This for me is a huge drawback. Imagine how boring this page would be with only a single image at the top. As a blogger, images are crucial for keeping your visitors engaged and showing rather than simply telling. Squarespace, on the other hand, has one of the strongest blogging platforms of any website builder and in my humble opinion, it’s comparable to WordPress. You can add categories and tags to your post, add media, allow users to comment on your posts, add multiple authors, and schedule posts to be automatically published at as designated time. Working in this industry, it’s not uncommon to see people who have started creating their site with a particular platform only to find down the road that they’ve outgrown it. Unlike Ucraft, should you find yourself in this position, Squarespace allows you to export some of your content such as text and images (what I class as the important stuff) over to the WordPress platform. I’m not saying it’s easy, but Squarespace has put together a tutorial to help walk you through the process. Note: The prices mentioned below are based on annual plans for easy comparison and other plan lengths are available. uCraft offers a free account but only gives you a single page to play with. 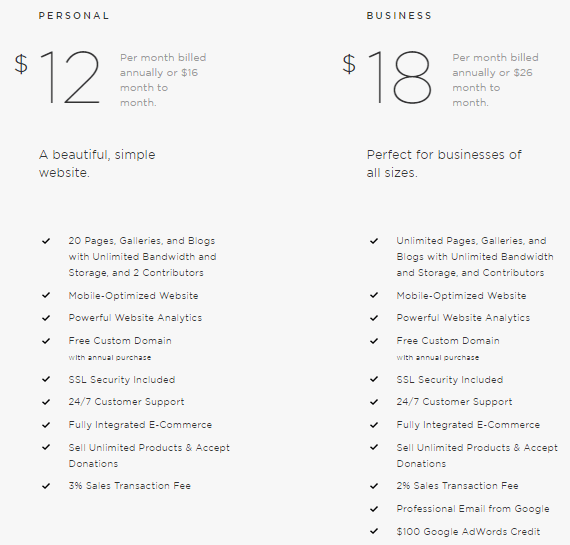 For a multiple page business site or portfolio, you’ll need the “Website” plan at $6/month. If you’re creating an online shop, eCommerce plans start at $13/month and go up to $76/month for established businesses. Squarespace doesn’t have a free plan but they do offer a 14-day free trial. Their cheapest plan is $12/month for a regular website. You can also sell products on this plan but you’ll be stung with 3% transaction fees on each of your sales. For an eCommerce plan without the fee’s, you’ll need to opt for one of the specific eCommerce plans starting at $26/month. To sum up, if you’re creating a regular website with the option of selling a few products, Ucraft works out the cheaper option. However, for a full-blown online store with all of the bells and whistles, Squarespace’s top eCommerce plan works out $37/month cheaper than Ucraft. Conclusion – Which is Right For You? 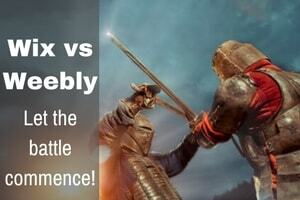 As I said at the beginning, I sincerely hope that this comparison has made your decision a little easier. Regardless of which you choose, rest assured you won’t have to sacrifice on design, the ability to customize your site, mobile-friendliness, eCommerce tools, or help and support. With that said, I feel that Ucraft is a more user-friendly and allows you to jump in and create your website with less of a learning curve than Squarespace. It’s the cheaper option for regular websites and very small online store. 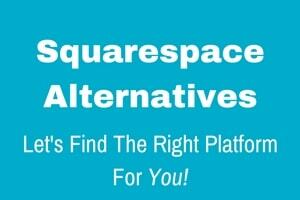 Squarespace has some of the best design templates and blogging platform in the industry. It also works out cheaper if you want an online store with all of the bells and whistles. I’d love to know which platform you decide to go with and more importantly why. Let me know in the comments section below!